For the many rugs, we recommend rug steam cleaning, which is among the most effective cleaning methods, and even better, it’s entirely green cleaning as it only uses hot water as its cleaning solution. With our forceful, truck-mounted cleaning machines, this hot water is injected deep into the fibers of your area rug, agitating the dirt. loose, and then all of this is sucked out of Rug.The result is an extremely clean rug. You don’t have to worry about any cleaning solution residue left behind. 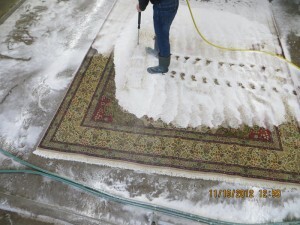 We clean and repair rugs in GTA, Ontario.